Occupational Health Partners, in Salina, Kansas is now seeking a BE/BC Occupational Medicine Physician. This candidate must be residency trained in occupational medicine or a family medicine/internal medicine physician with an interest in occupational medicine. Specialties available for patients include; 24/7 cardiothoracic surgery, 24/7 neurosurgery, oncology, neurology, orthopedic surgery & more! Great work environment & resources as the average physician tenure is 17 years! 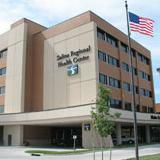 Salina has a population of 50,000 but due to its location, pulls in patients from a region of 250,000! Hobbies?? We have them! Golf, disc golf, hiking, biking, running, theatre, dancing, skiing, boating, camping, exploring, shopping, cultural events, spirituality, aviation, semi-professional football team, drive in theatre, swimming, photography, dining, history, pottery and much, much more!!! Ideal location as Salina is 1.5 hours north of Wichita, 2.5 hours west of Kansas City, 4 hours from Omaha, NE & 6 hours to Denver, CO.